Infinito Travel Pty Ltd was incorporated in the Republic of South Africa in 2003. The company mission is to serve the trophy hunting industry in Africa, through the vast knowledge and passion possessed by the owners. 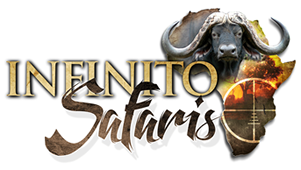 Infinito Safaris is the body corporate under which all operations are conducted. The owners have, over the last 15 years, forged strong partnerships with like minded companies and individuals in other African countries, enabling our clients access to top areas that produce top trophies.